Aurora CEO Chris Urmson stops by to discuss the future of self-driving cars with The Verge' s Nilay Patel and Andrew Hawkins. They explore how the industry has evolved over the years, and how long it will take before self-driving cars are commonly used on the road. Lime co-founder Brad Bao explains how the electric scooter revolution will evolve. 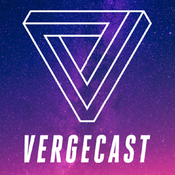 The Verge's Nilay Patel and Andrew Hawkins discuss the seemingly overnight emergence of electric scooters in cities across the country. They explore the tension scooters can create and ponder the future of urban mobility. Computer philosophy writer and "founding father of virtual reality," Jaron Lanier, chats with Verge editor-in-chief Nilay Patel about why he's optimistic about the future. Lanier shares his thoughts on how the "manipulation economy" has reshaped the world we live in and why we should be controlling and profiting from our own data.